Another successful solid colour change completed by Masters Wood Finishing. 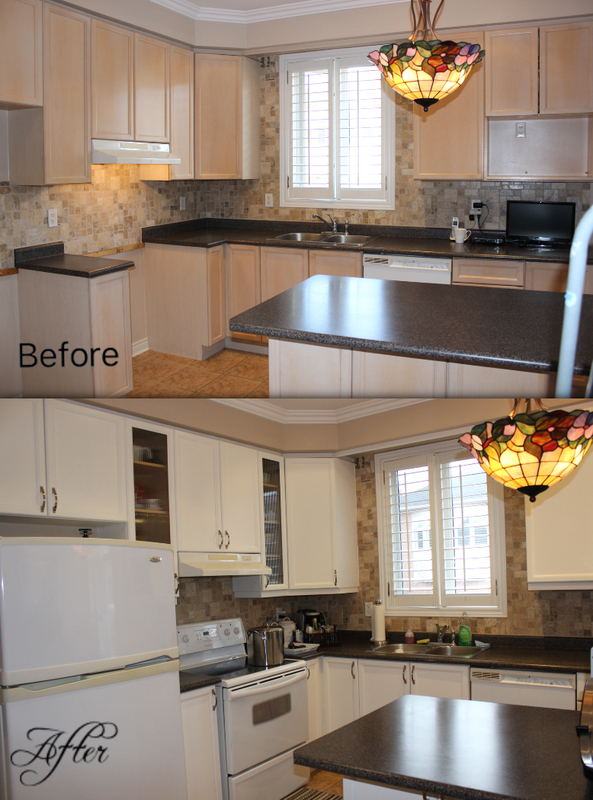 We transformed the look of this out-dated kitchen, to a modern and fresh white look. Reconsider buying a new kitchen, because our professional team can renew the look of your kitchen for a fraction of the cost of getting it re-done. We also offer kitchen modifications: we changed some of their cabinet wood panels to reeded glass, we changed the handles to modern brush-nickel, changed a couple of openings to drawers, and we added light valences. 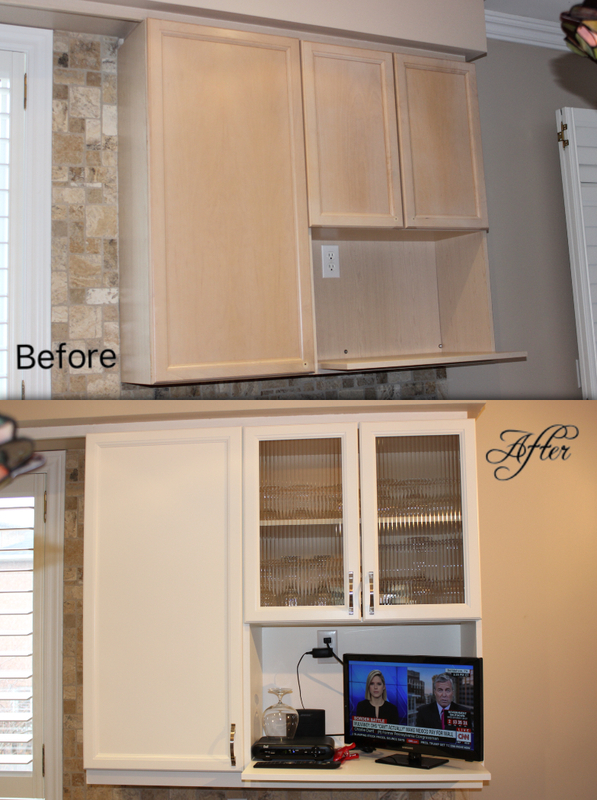 Masters Wood Finishing offers full-service kitchen refinishing. Service will include pickup, delivery, and installation (including on-site and off-site work) of your cabinet doors/drawer-fronts that are finished by our team.